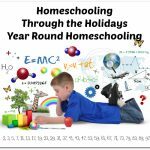 Homeschool Programming Inc offers computer programming classes to teach kids and teens how to write programs, games, and even Android applications. 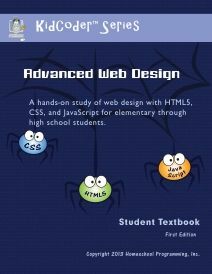 These courses are designed for the student to work through on their own with no prior programming knowledge. Each one comes with PDF instructional documents, student activity starters, a Solution Guide, and fully coded solutions for all activities. 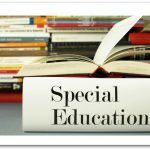 Optional instructional videos are available for all of the lesson topics. 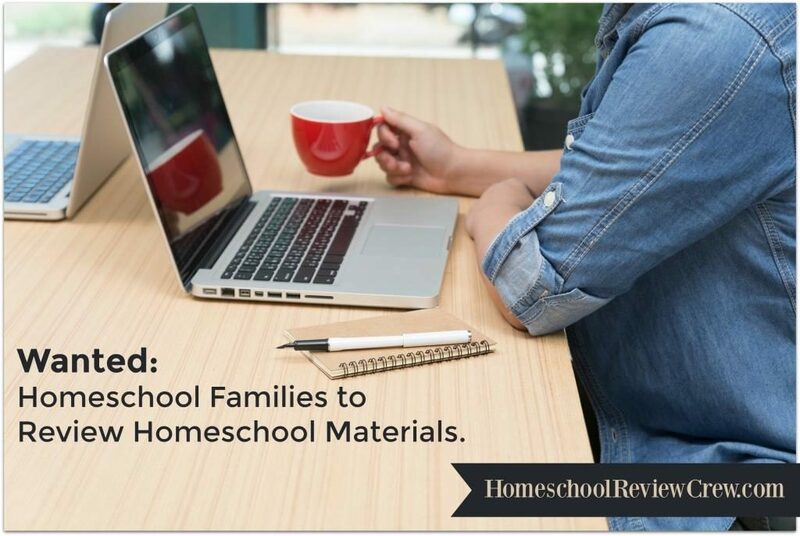 Homeschool Programming stands behind their products with free technical support to help with any part of the courses. 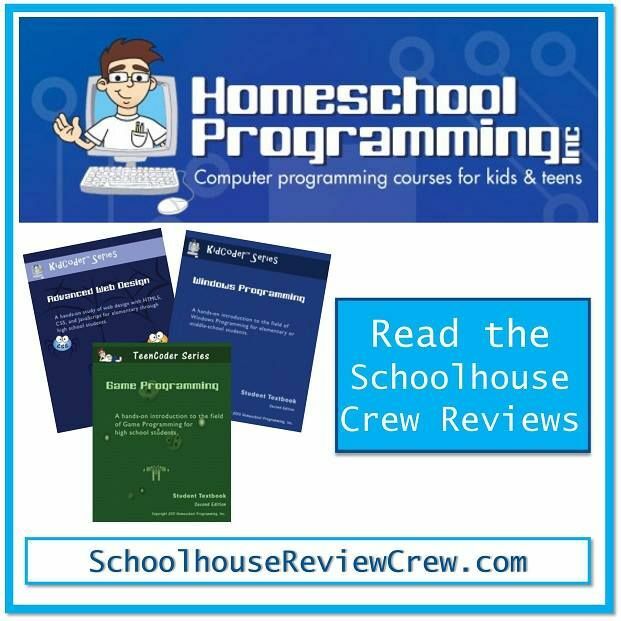 Schoolhouse Crew Reviewers have been using the four different course offerings over the past eight weeks — KidCoder Visual Basic Series, KidCoder Web Series, TeenCoder C# Series, and TeenCoder Java Series. 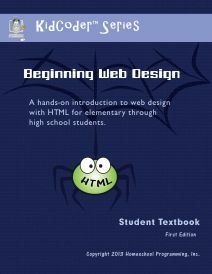 The KidCoder Web Series is appropriate for 4th-12th graders, the Visual Basic course for 6th through 12th graders, and both of the TeenCoder courses for 9th through 12th graders. The TeenCoder options are aimed at students who want an in-depth study of computer programming. KidCoder Visual Basic Series includes Windows Programming (first semester) and Game Programming (second semester). 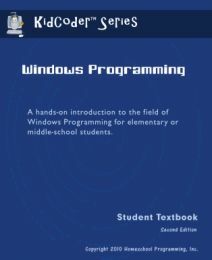 In Windows Programming, students will lean to write graphical Windows programs using the Visual Basic programming language. 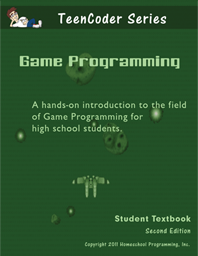 In Game Programming, students will write several different games while learning game programming techniques such as animating images, creating sound effects, responding to mouse movements, and artificial “game” intelligence. 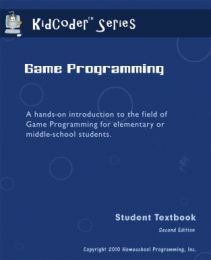 KidCoder: Windows Programming and KidCoder: Game Programming each cost $70 for the course or $85 for the course with video instruction. KidCoder: Visual Basic Year Pack combines both the Windows Programming and Game Programming courses for $120 (courses only) or $145 (courses and videos). TeenCoder C# Series includes Windows Programming (first semester) and Game Programming (second semester). Students will learn important C# programming skills in the first class and will then use those skills to write graphical computer games in the second class. The final project for the first semester is writing a graphical chess game. In the second semester, the student creates a new arcade game called Bumper Cars. Skills covered in the course include 2D animation techniques, sound effects, maze generation, multi-player scrolling games, and game artificial intelligence. 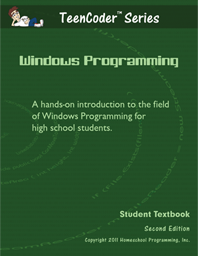 TeenCoder: Windows Programming and TeenCoder: Game Programming each cost $75 for the course or $90 for the course with video instruction. TeenCoder C# Year Pack combines both the Windows Programming and Game Programming courses for $130 (courses only) or $155 (courses and videos). 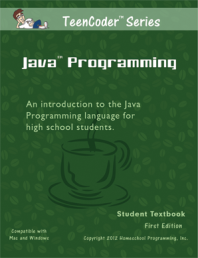 TeenCoder Java Series includes Java Programming (first semester) and Android Programing (second semester). In Java Programming, high school students learn to create graphical and console applications using object-oriented design concepts. This course can be used to prepare for the AP Computer Science A exam. 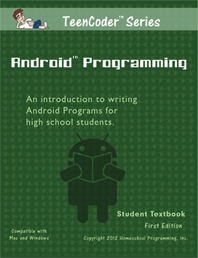 In Android Programming, students will use their Java knowledge to write their own mobile applications. TeenCoder: Java Programing and TeenCoder: Android Programming each cost $75 for the course or $90 for the course with video instruction. TeenCoder Java Year Pack combines both the Java Programming and Android Programming courses for $130 (courses only) or $155 (courses and video). 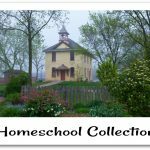 All four of the Homeschool Programming courses will run on Windows based computers (Windows XP, Vista, 7, or 8). KidCoder Web and TeenCoder Java will also work on a Mac running at least OS 10.5.8. Full tech requirements can be found here. 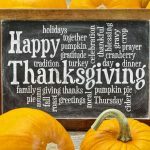 A big thank you to Cristi of Through the Calm and Through the Storm for writing this introductory post.